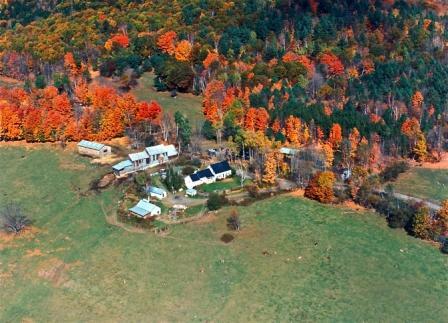 We were delighted when we discovered Sugarbush Farm, which occupies 550 acres on a hillside in central Vermont. We had been skeptical of smoked cheeses: they are often too salty, rubbery and taste of artificial smoke. But Sugarbush smokes their cheese naturally at low temperatures and the combination of Hickory and Maple Wood adds a warmth as well as a smoky sweetness. They won First Place in the Smoked Cheese Category at the American Cheese Society Competition. It melts beautifully (great on chili or baked beans) and pairs well with salami and beer. A cheese this good that is also shelf stable is a dream come true for Fancifull. We don’t want processed cheese spreads that are mainly oils in our gift baskets, and we don’t think you do either. So we search high and low for delicious product that can make the journey to your recipient. We found one here. We have designed Sugarbush into our Warm Wishes Basket, Gluten Free For All , The Solid Gold and other baskets. The Ayres family founded Sugarbush in 1945 with the idea of making a go of country living. In addition to making Maple Syrup, they were the first to package their cheese in waxed bars to extend the shelf life. Members of the fourth generation of Ayres are now living on the farm and are learning to run it, so Sugarbush will stay in the family. They offer tours and educational visits for both sides of their production, the Cheese Making and the Maple Sugaring, in their idyllic setting at the end of a gravel road in Woodstock. The Boston Globe put it this way: At the end of a scenic Vermont road lies a Cheese Lovers paradise.